Netflix had quite a few break out stars in 2018, all of which are celebrated here. At the top of the list is the new Fab Five from their revived version of Queer Eye. As a group, they're great. But the single most celebrated person in Netflix's past 12 months is Lana Condor, the lead in the phenomenon To All The Boys I've Loved Before. She is on par with Joel Courtney, who starred in The Kissing Booth. Both of those YA romantic comedies scored as two of the most watched items on Netflix this year. People truly fell in love with these movies, and they are just as, or perhaps even more popular than some of the big releases that wound up in theaters this year. Joel attended the 2018 GQ Men of the Year Party on Thursday 6 Dec 2018 in Beverly Hills. Thank you, Just Jared Jr for these excellent photos! It may be one of this summer’s most popular movies, but “The Kissing Booth” is not playing at a theater near you. Netflix released the teen rom-com on its streaming service with little fanfare in May, and it quickly swelled into a stealth sensation. This user-generated strategy seems fitting given the D.I.Y. origins of “The Kissing Booth.” In 2011, Beth Reekles, a 15-year-old in Wales, started posting chapters of the story on Wattpad, an online platform that allows amateur writers to read and comment on one another’s work. 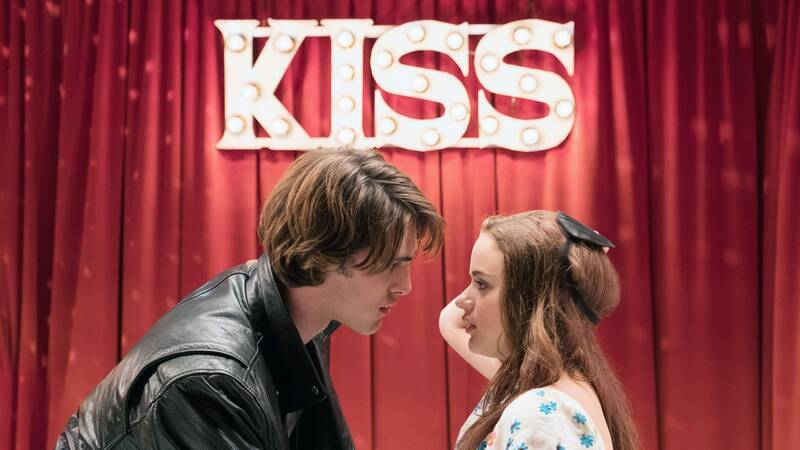 Audiences have fallen in love with The Kissing Booth, the Beth Reekles's Wattpad short story turned YA novel and most recently adapted into a wildly-popular Netflix Original starring Joey King, Joel Courtney, and Jacob Elordi. It's become one of the most buzzed-about high school romantic comedies of the year since its release in May. Don’t get us wrong, the movie isn’t perfect. We’re taking serious issue with the ambiguous ending, in which Noah flies off to college without so much as a backward glance. (Okay, yes, Elle specifically asked him not to turn around for a final wave goodbye, but still!). The point is: plenty of fans have been asking if they'll be getting a Kissing Booth sequel. We’re emotionally invested in these characters, and we’re dying to spend more time with them.